1 1/16" x 4 1/2" rectangular opening. KraftyBlok provides a unique surface on which anyone can release their creative energy. 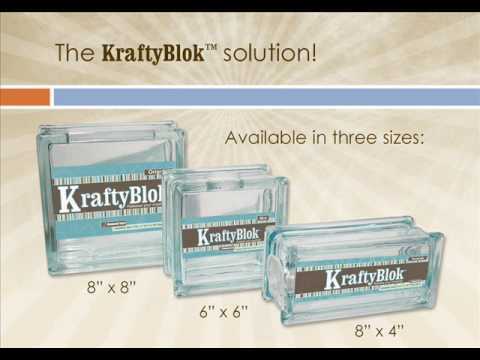 KraftyBlok is a 7.50 in x 7.50 in x 3.125 in smooth square glass block which provides plenty of area for embellishing. It’s stopper top opening makes it easy to transform the KraftyBlok into a bank for saving, decorative lighting, bookends or a beautiful vase ready for a cheerful bouquet all you need is the right creative mindset. Let your ideas freely flow, scrap, stamp, mosaic or collage whatever your creative outlet, the end result will surely be a home décor item with unmatched style and character.